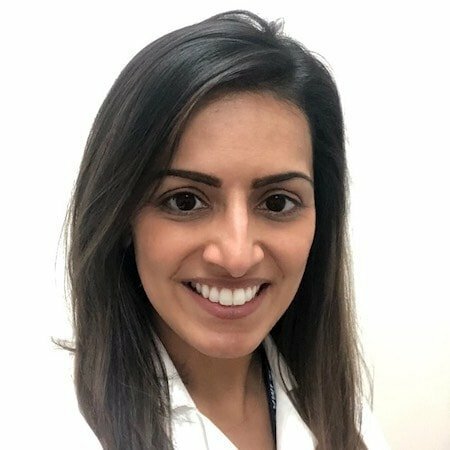 Dr. Roshini Malaney is joining Manhattan Cardiology as a cardiologist with particular interests in women’s heart health, disease prevention, cardiovascular imaging, and peripheral vascular disease. She is dedicated to providing her patients with outstanding, evidenced based, and compassionate care. Dr. Malaney takes the time to educate her patients about heart disease and helping them to live a heart healthy lifestyle. Dr. Malaney completed her Internal Medicine residency and Cardiovascular Disease fellowship at Stony Brook University Hospital in Stony Brook, NY. She has been published in the Journal of the American College of Cardiology, has authored book chapters in the field of cardiac imaging, and written several articles for ABC News. Dr. Malaney is member of the American College of Cardiology as well as the American Heart Association. She enjoys being any type of exercise from dance classes to running, cooking and spending time with her 2 labradoodles, Peyton and Eli.